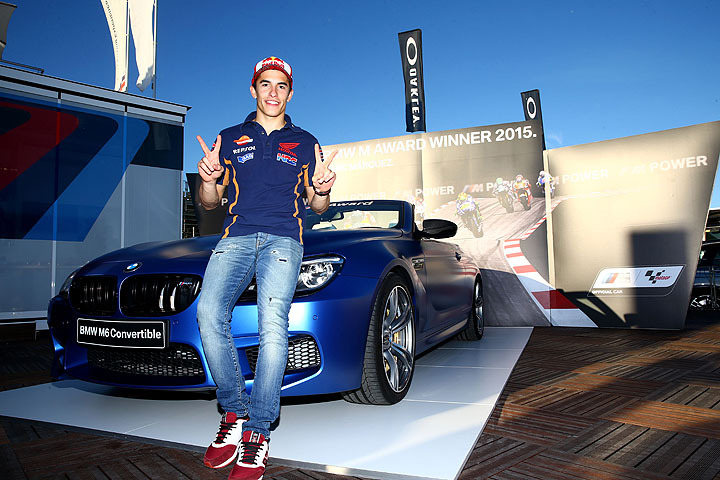 The 2015 BMW M Award goes to: Marc Marquez. The Spaniard was again the fastest qualifier in this MotoGP season and secured the coveted prize for the third time in a row. The BMW M Award has been presented by MotoGP partner BMW M Division annually since 2003. At the end of each season, the winner is rewarded with an exclusive, individually designed BMW M car. The 2015 prize for the fastest qualifier is the new BMW M6 Convertible in a customized special edition. Highlights include the exclusive BMW Individual paint finish “Frozen Blue Metallic”, 20’’ M light alloy wheels double-spoke 343 M with mixed tyres, BMW Individual full fine-grain Merino leather in “Opal White”, as well as BMW Individual Piano finish Black interior trims. In addition, this year’s winner’s car features numerous BMW M Performance Parts. 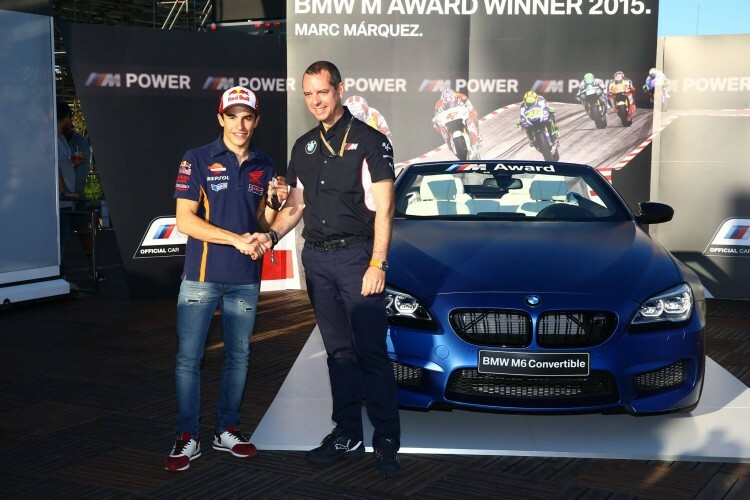 Winning the BMW M Award for the third time, Marquez drew level with record holders Valentino Rossi and Casey Stoner. The Spaniard is also the first rider to receive the BMW M Award three times in a row. The official presentation ceremony took place on Saturday at the final round of the MotoGP in Valencia, Spain. 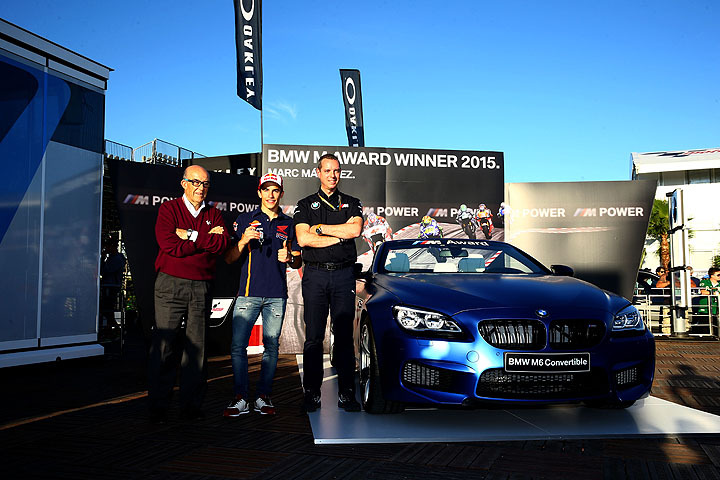 The BMW M6 Convertible was handed over to Marquez by Carmelo Ezpeleta, CEO of Dorna Sports, and Frank van Meel, President BMW M Division.